Universal Replacement Roller-Door Seal is suitable for Gliderol, B&D, Steel-line and Stramit roll-up doors. 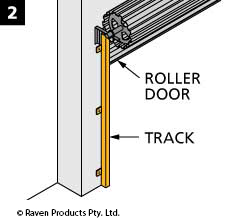 The RP142 Universal Replacement Roller-Door Seal is suitable for Gliderol, B&D, Steel-line and Stramit roll-up doors. 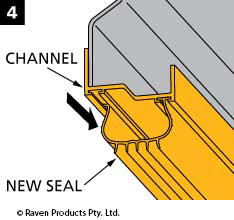 For a close fit, RP142 (6mm T section) must be similar to your existing seal so it can slide in channel and hold firm. The RP142 (58mm width) is a suitable replacement for seals that are between 48-68mm wide. 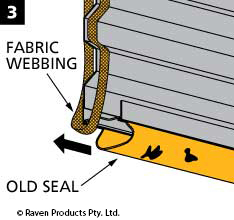 IMPORTANT: Before opening pack, compare your existing roller-door seal to the RP142 universal profile above.